August 27th, 2012 – Gaslamp Games, Inc., independent game developers and makers of the critically acclaimed Dungeons of Dredmor, are pleased to announce their new title, Clockwork Empires, for the Windows, OS X, and Linux platforms. Fly the Union Cog over all three identified corners of the world! Dynamic, city-building, citizen-simulating action. Every imperial subject has a purpose and agenda of their own, and their interactions are rich, exciting, and often lethal! New “procedural extrusion” technology lets you design your colony the way you want! Buildings are procedurally generated and extruded directly from the aether to your specifications! Tame the uncharted continents by land, sea, and air! Set forth in mighty Zeppelins to do battle with Sky Pirates, or take to the seas in search of fortune and probably sea serpents! Create magnificent acts of plumbing, link together mighty gears, and build ominous Megaprojects! Tangle with the machinations of malevolent entities! Scry the legacy of the Invisible Geometers, fumigate the baleful moon-fungus of the Selenian Polyps, and cleanse the scuttling creepiness and poor personal and moral hygiene of your everyday, average cultist. Losing is still fun! When your colony fails miserably, earn medals, promotions, and titles as befits a true politician and scion of the Empire! Multi-player mode, with up to 4 players, lets you co-operate with your closest friends to build a glorious city… or fight a horrifying economic battle to total annihilation! Rendered in glorious GaslampVision! Thrill as the colours are brought to life by Gaslamp’s team of caffeine-addled artists labouring under the technical specifications of our elite programmers* to bring you a game that is rendered in Each of the Three Dimensions! New multi-core technology by Actual University Students lets you use every last ounce of power in your computer to run a thrilling and vivid simulation! No always-online DRM requirement, unlike certain other games we don’t want to mention. You know who you are and your mothers are very disappointed. Comes complete with the Gaslamp Games Quality of Excellence that you know and love, and if you don’t like something you can mod it yourself in the best tradition of Empire Craftsmanship! For more information, Gaslamp Games invites you to subscribe to their Awful Circular, available at www.gaslampgames.com on the Inter-Net Tubes. For more exciting information about the latest Gaslamp Games endeavor, visit PC Gamer! Cog Save the Queen! Huzzah and all that. Pingback: Dungeons of Dredmor developer’s latest is Clockwork Empires | Gaming R.S.S. The only thing this is missing is a BUY BUTTON. Well, dang! Might be the first strategy-y game I play in a long time. Yes! Can’t wait! Will this work on low-powered machines (i.e. single-core netbooks), like Dredmor does? Or Android! Please Dredmor and this on Android! Sounds great, hope it retains the great humor Dredmor has. Ok, this really sounds good!!! And as a Lovecraft fan this sounds even better!!! Oh, and steampunk, EVEN BETTER!!! Will the free beta test of the game? This could turn out to be pretty awesome! Love the support for Linux and even Mac. Will be keeping an eye out for this one. I cannot express the depths of my excitement. It sounds a bit like Dwarf Fortress. Only with steampunk and lovecraft and the loving touch of Gaslamp. I like this one SO much already. And yes, I will get it, even maybe for my friends!!! 😛 I doubt we will have any information but will you continue adding content with DLC:s? If so, I will get ’em all :P.
THIS IS THE GAME OF MY DREAMS. When can I expect to buy it? Two things after reading through PCGamer review and interview. #1 Can you make a world that’s like Panem? I’m not saying I should be able to recreate the Hunger Games, but what about having a central aristocracy and being able to repress and exploit 12 outer Districts? Being able to sacrifice two children from each District yearly would be a plus, but not essential. #2 You never mention any sort of release date. You should, so I know when to come back and give you my money. Again. I throw money at the money and nothing happens. What’s your timeline on this? Q3 2013? this is pretty much THE game i’ve been waiting for. 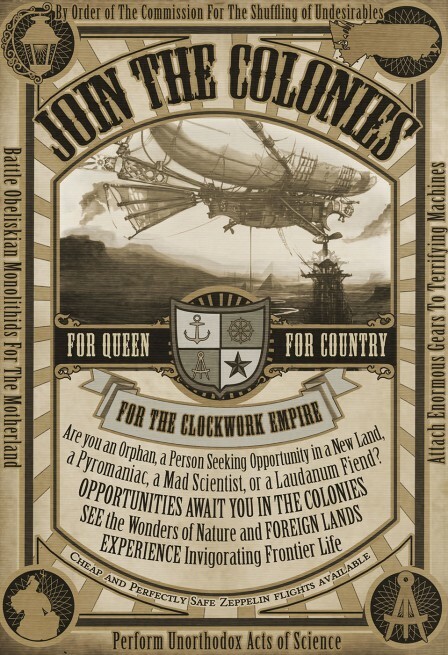 if clockwork empires is as advertised in this article, you have my money. hell, i’d preorder it right now. One request, make it hard as hell, or better yet add some uber mode for the masochist in all of us. All praise to the great ancestor god Toady One! Sounds sweet. Where do I send my money/resume? I’m going to join the zombie chorus here: “Money, take it, give game that eats time and brains!” 😀 Seriously this sounds so epic and the only disappointing thing is that for the moment I can only dream of Elder Gods and the like coming to wreck my colonies in fun and horrible ways. I own this in the future when coincidentally I find myself happy and on the computer too often. Please put up a “buy now” button so I can mash it with childish retarded joy. SHUT UP AND TAKE MY MONEY!!!!!!!!!!!! I’m throwing my money on the screen but I still can’t play it… WHY? Any date on pre-orders? Looking forward to playing this! What Edward said. I look forward to being the proud owner of such an innovative game! I wanna, wanna, want it. As Edward asks, pre-orders? Beta tests? I need this! Why are you doing this to me!? This is just intolerable cruelty. I’m going to sit in a corner and pout until you’ve finished, I hope you’re entirely happy now! Well spring is here and no mention of a release date? I understand trying to keep the game under wraps so people can discover the game as intended but the lack of information gives the impression the game has died or is dying. 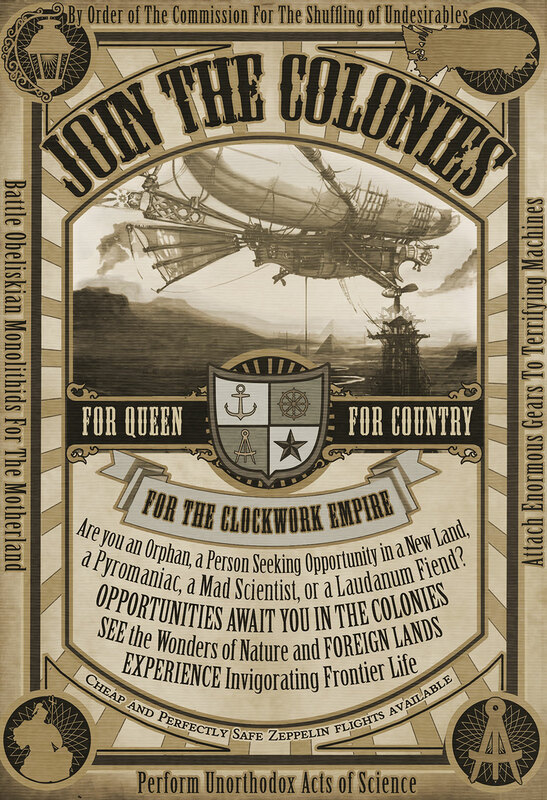 We’ve updated the front-page banner to direct viewers to the Clockwork Empires category (rather than just this one post) which shows the weekly-updated development blog posts thus alleviating concerns & questions about on-going development. Finally the videogame I have been waiting a long time! Please keep up the good work!